Contrary to legend, Satan didn’t give Robert Johnson private guitar lessons; Son House did. House’s influence has been felt by everyone from Muddy Waters to The White Stripes and so many in between. Despite his influence, there are precious few recordings of his work. In 1965 he laid down some killer tracks for Columbia. 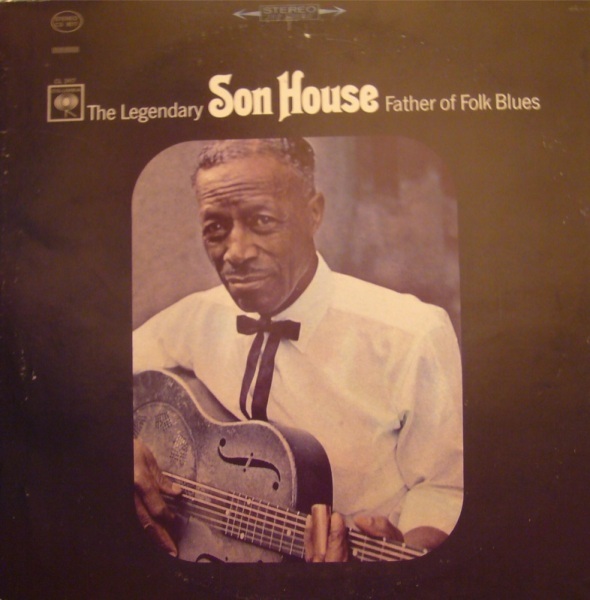 I love the storytelling on Death Letter Blues, and the depth of the sound Son House extracts from his dobro. His acapella track, Grinnin’ in Your Face, reminds us not to listen to our critics, but to just do your thing. Sage advice packaged in masterful music. 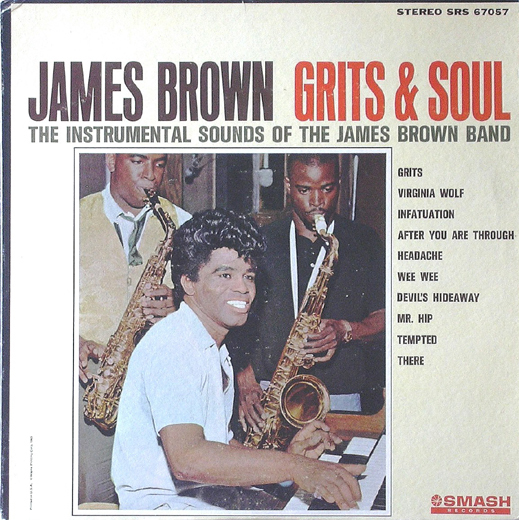 I love James Brown for his hustle and unending, funky passion. But when you think of the Godfather of Soul, images of sweat and capes come to mind, not swingin’ organs (not that kind of organ). But that’s what you’ll find on Soul and Grits. These instrumentals shake rumps with an early ’60s swing ala Austin Powers. I didn’t see that comin’. This record is church. It’s moved by the spirit, and explodes with joy before becoming reflective and somber. “Better Git It In Your Soul” is inspired by gospel singing and preaching of the sort that Mingus would have heard as a kid growing up in Watts, Los Angeles, California. While “Goodbye Pork Pie Hat” is a reference (by way of his favored headgear) to saxophonist Lester Young (who had died shortly before the album was recorded). 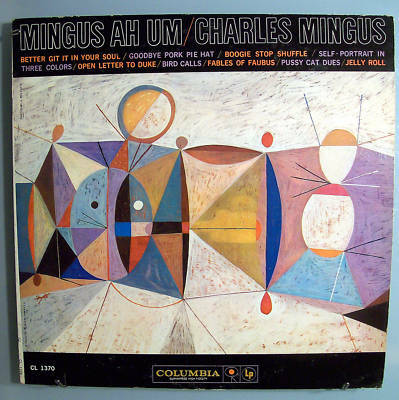 It’s clear that Mingus put his heart and soul into this record, and for that I love it. This record is full of surprises. 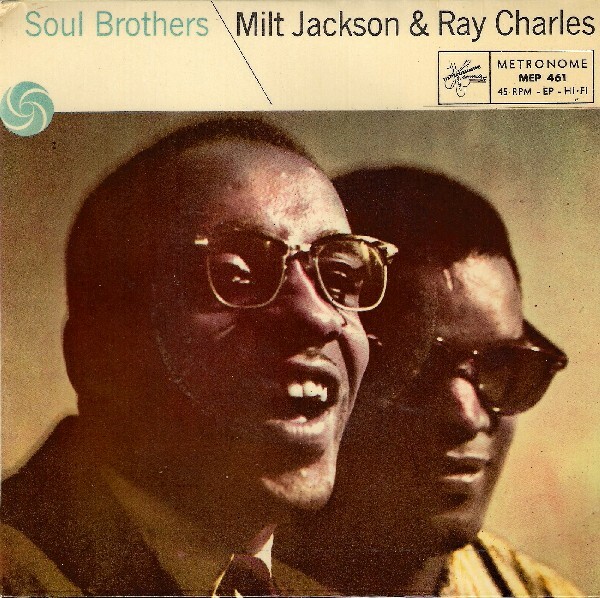 Vibraphone virtuoso Milt Jackson, best known for his work in the Modern Jazz Quartet, absolutely shreds on guitar (who knew?!) and even plays piano on this record. Considering he’s collaborating with Ray Charles here, that’s kind of amazing. Did you know Ray Charles played alto saxophone? Yeah, me neither, but he does here while Milt backs on piano. No vocals here. No Ray Charles hits. This record will show you what real creative collaboration is all about. These guys give and take, experiment, and venture out of their comfort zones to create a brilliant piece of wax. 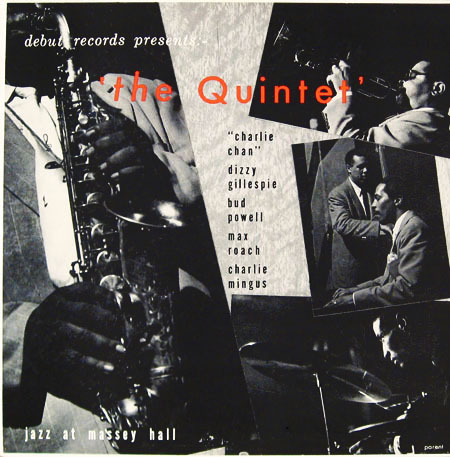 Jazz at Massey Hall captures a historic live performance by “the Quintet” given on 15 May 1953 at Massey Hall in Toronto. The quintet was composed of five pioneers of bop: Dizzy Gillespie, Charlie Parker, Bud Powell, Charles Mingus, and Max Roach. It was the only time that the five men recorded together as a unit, and it was the last recorded meeting of Parker and Gillespie. Due to contractual agreements with other record labels, Charlie Parker is listed as “Charlie Chan” on the record. This is quite possibly the most amazing recorded jazz performance ever. A song about vampires that is really about acceptance and vulnerability. There was a dark period in my life where I listened to this song on repeat, yelling its lyrics until my voice was hoarse. It helped pull me through. Sometimes you do have to let it go, and what that it is is your sense of self, of who you should be. I have often considered getting a tattoo of the lyric “No where you can be that isn’t where you’re meant to be.” Profound wisdom from a trifle of a song. The song that according to a decade of data from Last.fm is the song I actually listen to the most. The song orignally appeared in the animated series “Cheburashka”, but is now universally used. Gena the crocodile sings about how a magician will land in a blue helicopter, show everyone a movie for free, and leave 500 eskimo bars as a birthday gift. Too bad birthdays only come once a year! And Gena the crocodile is right. Viktor Tsoi was the real deal—a punk, slacker and thorn in the side of the State who radiated cool. Tsoi wrote underground hits in a country where “underground” was not a safe marketing phrase, and rebellion was not a pose. Tragically, Tsoi died in an auto accident in 1991. This song is a window into a different world, before the Cambodian genocide. Rock and roll hit Cambodia in the 1960’s, and the Cambodians ran with it, producing an amazing and eerie sound. I find it beautiful but impossible to listen to without thinking of the awfulness that followed. Dagmar Krause, lead singer of Slapp Happy, is another source of amazing and eerie sound. Today with Sha Hwang – who’s cheated a little and gone with a double-bill format! The Fall is not a perfect film, but no movie that looks this good should be. It’s a film that defies belief — made over years, largely financed by the director Tarsem, shot in locations all over the world (if you need a bucket list for places to visit, this is it). A labor of love, both of filmmaking and of the staggering beauty of nature, of harsh deserts and ragged mountains. I am a total and complete sucker for Michael Mann movies, and Heat is no exception. It’s a simple cop and robber movie but blown out into epic proportions, soaked in the sun of Los Angeles. For me though, it all comes down to the sound design during the pivotal heist scene. There’s a trend with pop songs getting louder and louder, filling quiet with noise, and movies these days are similar. But in the buildup there is only the barest of scoring, and when the shooting starts, everything shakes (the screenplay apparently reads: World War III ERUPTS). Beautiful. whose opening scene references Heat quite a bit. And on the complete other end of the spectrum, there’s JCVD, with Jean-Claude Van Damme playing Jean-Claude Van Damme. That’s really all I need to say, right? It’s hilarious, silly, and honestly kind of touching. which is the entire film, fastforwarded, another very meta piece of work. One of my favorite small scale movies, though, is Brick by Rian Johnson. Tight and focused it is a high school neonoir played with a straight face, and through its crackling dialogue it actually works. Not to mention that it features the ever amazing JGL. another recent genre film set in high school, but with superpowers instead of gumshoes. And finally, 25th Hour. It is, again, not a perfect movie — it’s long and drawn out, a little messy sometimes, but it holds an incredibly special place in my heart. When I first moved to New York in 2007 I watched it the night I got in, and felt nostalgic for a place I didn’t even know yet. And when Rachel and I moved back to New York a few months ago, we watched it together. It’s an incredible portrait of a city, and now, again, it’s home. To be paired with a long walk through a city you love.